We are able to offer the manufacture of bespoke joinery products in a fully equipped joinery workshop. Windows, Doors, Door frames, Stair cases, Gates. All in a range of timber species IE Hardwood and Softwood, all sourced from sustainable managed woodlands. Our High performance hardwood windows are constructed from substantial sections EX 100mm x 75mm with grooved in draught seals, friction hinges and espagnolette locking system with Locking push button handles with night vent facility. The double glazing rebate is designed to accept a 24mm double glazing unit throughout the window in fixed or opening panes. We manufacture 57mm thick doors to accept the same size of double glazing as the windows. 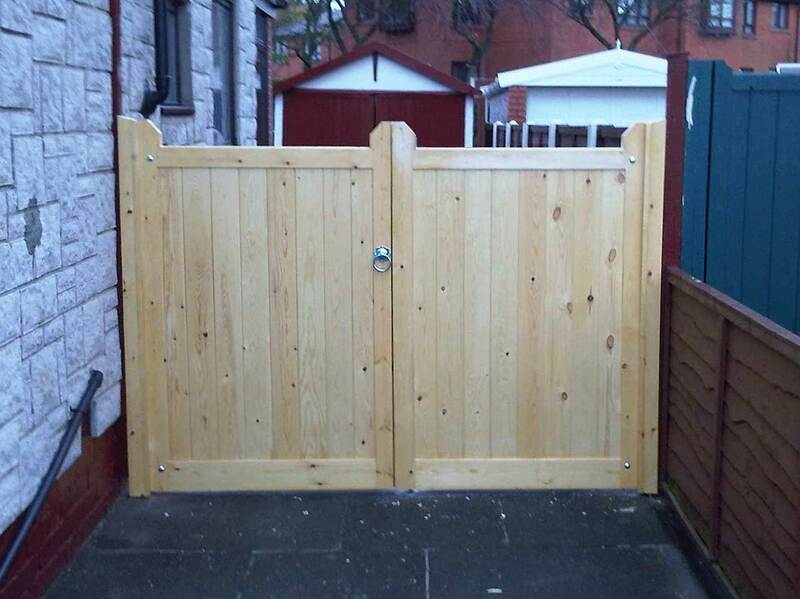 Garden gates whether it is just a basic ledged and braced type or a complex design requirement in a select hardwood. Please browse our gallery below to view our work.